1-3 caplets daily or as directed by your healthcare practitioner. For more information see Dr. Wilson’s Program for Adrenal Fatigue & Stress. What is Dr. Wilson’s Adrenal C Formula? What is the difference between Dr. Wilson’s Adrenal C Formula and other vitamin C supplements? Why does Dr. Wilson’s Adrenal C Formula contain minerals? 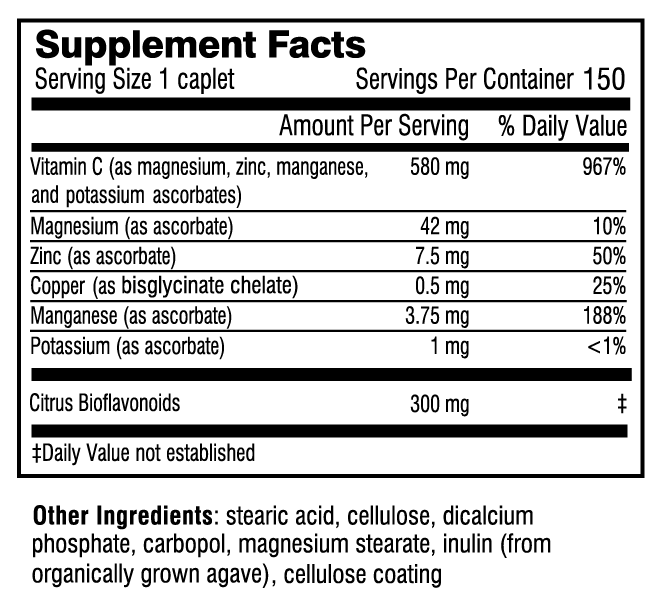 Why does Dr. Wilson’s Adrenal C Formula contain bioflavonoids? How does sustained release work in Dr. Wilson’s Adrenal C Formula? How is Dr. Wilson’s Adrenal C Formula buffered? What does Dr. Wilson’s Adrenal C Formula do? Who can take Dr. Wilson’s Adrenal C Formula? What is the best way to take Dr. Wilson’s Adrenal C Formula? How long can I take Dr. Wilson’s Adrenal C Formula? Can I take too much Dr. Wilson’s Adrenal C Formula? Is the quality of Dr. Wilson’s Adrenal C Formula reliable? 2. They bind to and buffer the vitamin C to reduce its acidity and make it easier on the stomach. 3. These minerals are essential for the formation of certain antioxidants inside cells, like superoxide dismutase (SOD), that help prevent free radical damage. 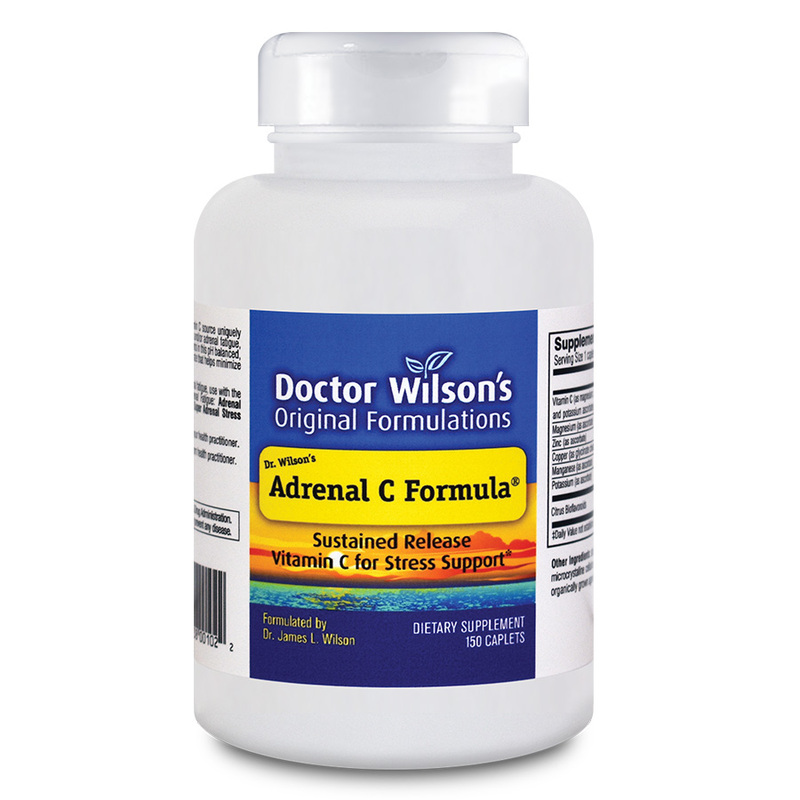 The integrated sustained release design of Dr. Wilson’s Adrenal C Formula caplets allows all the nutrients to be supplied gradually over several hours as they move along the digestive system. Slower caplet disintegration helps prevent the water-soluble vitamin C from being quickly absorbed and just as quickly eliminated through the urine, and gives the minerals more opportunity to be fully absorbed. This increases the chance for optimal utilization of the all nutrients in the cells. 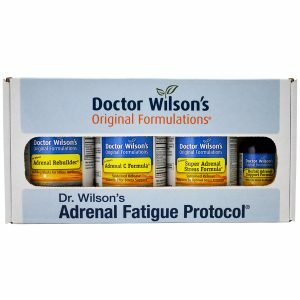 * Dr. Wilson’s Adrenal C Formula is unique in the thoroughness of its design, the quality and proportions of its ingredients, and the ultimate benefits it delivers. 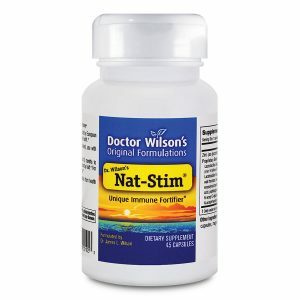 * Supplements like this are expensive and time consuming to design and manufacture, but as the formulator, Dr. Wilson believes that Doctor Wilson’s Original Formulations should provide all the necessary nutrients even though many people may not know all the facts. I am very impressed so far with the Adrenal C Formula. I started it over a week ago and noticed an immediate difference. Sometimes you think vitamin C is just vitamin C but switching back to the Adrenal C Formula has made all the difference for me! I recently discovered the Adrenal C and I think it is absolutely wonderful. It is the only vitamin C I have been able to take without being tired and itchy. The first time I took it I saw incredible energy! I have been taking the other adrenal supplements for close to a year now and have really seen improvements. Lately, my progress has slowed and I thought the vitamin C may have been the missing link. Wow, what a difference!